Are you ready for your eyes to be filled with beautiful images that will only leave you longing for autumn and winter??? For most of us here in the states, Im sure that would be a yes. 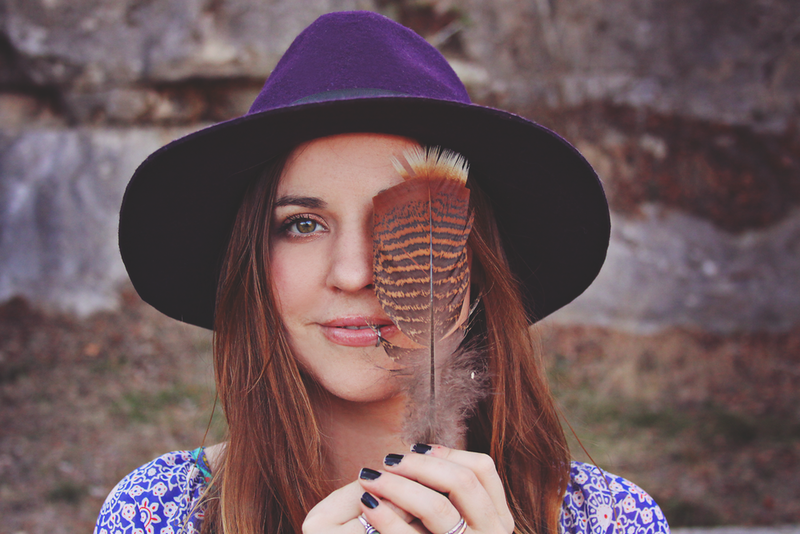 Im so ready for fall... And this makes me so excited to bring you this feature on Rachael of Softspoken. I have followed her work it seems since the beginning of my etsy days. And although she has since moved on from etsy, with the exception of her lovely vintage shop, she still sells her beauties on big cartel here. And she also runs a lovely lifestyle blog here. Here are just a few of my personal favorites. The fringe necklace is my all time fav of hers.... Oh my! are all of those not completely dreamy??? visit her shop to see more. 1. Where did your passion for crocheting come from? My mom taught me to crochet at an early age. I would always help her untangle her yarn or help her roll it into balls before that and was always interested in her latest project, so I was eager to learn. I remember thinking those granny square blankets with the big 3-D flowers in the middle were just the prettiest things ever! I always wanted to make one, but never have. That, and I was in love with the shell stitch. All of my projects around that time probably featured shells of some sort. 2. What do you find most rewarding about creating and running your own small business? Besides being able to wake whenever I want to - the most rewarding part to me is the actual creating and designing. I love the excitement of finally getting something the way I envisioned it (even if it comes after messing it all up 50 times first). I wish I could just sit and make all day and have someone else do the shipping and other dirty work (since I'm such a huge procrastinator when it comes to that at times - the post office seems like a torture chamber - I dread it so! ), but I'm far from that point! I also like to push myself to make pieces that are both on trend, but also have a timeless feel to them - I really like the challenge that comes with crochet to make stylish and updated pieces - crochet kind of seems like the little black sheep behind knitting - people sometimes have funny ideas and outdated associations with the craft of crochet - that it's chunky or tacky or folksy or unpolished - and I like to challenge that! 3. What are a few other things you are passionate about in this world? My family, friends, my new little nephew, pets, quality yet simple food, good beer, kind gestures, time alone. 4. What are some of the most important things you have learned so far on this journey of life? Oh man, I kinda feel like I'm just blindly feeling my way through this world. I wish I would have listened to my mom's advice about money and debt and not buying what you can't pay for today. I wish someone would've told me maybe graduate school's totally not worth it. I wish I'd never gotten student loans. I wish I would have realized there's no shame in doing whatever job you have as long as you're happy doing it. I was perfectly happy when after college I had a management position at a retail shop - then one day the mom of this guy from high school came in from out of town and saw me and acted so surprised that I was working there and told me "I used to be so smart in high school." Used to be! As if by working there and being a shopgirl I wasn't anymore! Or that I'd let her down somehow by not being a doctor or lawyer or rocket scientist. It wasn't just that one incident, but I felt this pressure at times that I should go to grad school - that I should be something more or have some ridiculous boring career - when the truth was I really liked the job I had and was just buying into these idiotic (and possibly imagined) expectations I felt of me. And you know what, if I had stayed at that little job I would be netting so much more with that salary and not having student loans (and probably would have a nice promotion by now, too) than I would make with some boring library science career I hate with a little bigger paycheck but a huge monthly student loan bill. So that - doing what makes you happy - not listening to others expectations or letting others ideas of you affect your choices or put a damper on your happiness. I'm so glad I don't let people affect me in that way any more! Win this lovely crocheted turban in time for fall! Just go to her crochet shop and her vintage shop and let me know what your favorite item of hers is!